Danny O’Brien is pleased he missed the autumn carnival with Victoria Derby runner-up Bondeiger, who has returned to work. O’Brien will set Bondeiger for the Caulfield Cup. 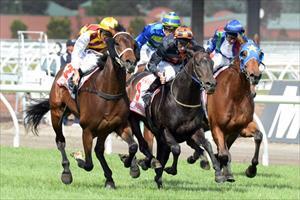 His Geelong Cup winner Caravan Rolls On has also returned to work and will be set for that race again.